When is a cat not eating a problem? 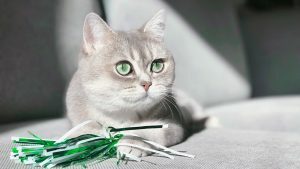 Whether you have noticed that your cat’s appetite has declined over time or if suddenly your cat has stopped eating, both are a signal that your cat isn’t feeling well and needs to see a veterinarian. Cat not eating = emergency? A cat not eating for an extended period of time is a serious medical concern. 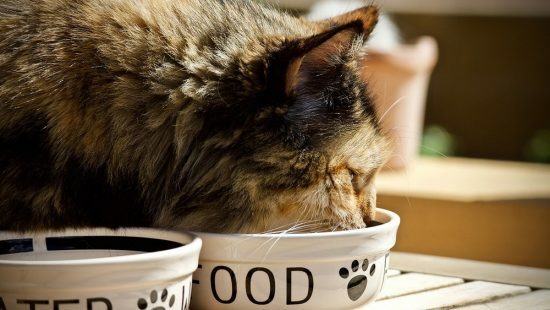 Unlike dogs or people, who can go days or even weeks without eating, cats must eat on a semi-regular basis, otherwise they will develop severe liver disease called hepatic lipidosis or fatty liver disease. In other mammals, when a body is starved, it moves fat from storage and converts fat into energy. Cat bodies missed the memo on that little trick, and their livers are not designed to store or convert large amounts of fat. If a cat is starving and has to use body fat for fuel, it bogs the liver down with fat. Hepatic lipidosis is one of the most common severe liver problems seen in domestic cats, and can lead to liver failure and death. How fast a anorexic cat develops hepatic lipidosis varies from cat to cat. Obese cats are predisposed to hepatic lipidosis in comparison to thinner cats. If you have noticed your cat not eating for more than 2-3 days, schedule a veterinary appointment immediately to avoid development of potentially fatal hepatic lipidosis. Now that we know how important is for your cat to eat enough on a regular basis, let us examine some of the reasons cats stop eating. A cat not eating that has gastrointestinal problems will likely also experience vomiting, diarrhea, weight loss, and/or flatulence. Painful oral conditions can lead to a cat not eating. Inflamed gums, broken teeth, oral ulcers, and tooth root abscesses HURT enough that a cat won’t eat. Cats can also develop a painful condition similar to cavities in humans called a cervical line lesion. The cause is unknown, but researchers theorize that cervical line lesions are due to an auto-immune disorder that attacks the teeth, eating them away and causing dental pain from broken teeth or exposed tooth pulp cavities. 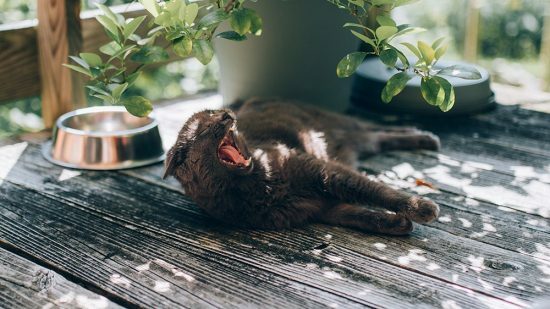 Cats with pain in their mouth may only chew on one side, may drop food when chewing, may only eat soft food, may drool, or chitter their teeth together. A common cause of a cat not eating is kidney disease. Kidney disease is common in older cats, and can make a cat feel sick enough to not want to eat. Cats with kidney disease drink a lot, pee a lot, and lose weight. Kidney disease is diagnosed with a physical exam and laboratory testing through your local veterinarian. Sometimes a cat won’t eat because you changed his diet. Cats can develop strong food preferences, and may turn up their nose if you abruptly switch their food. To avoid this proceed slowly, mixing the food for 4-5 days when transitioning your cat to a new diet. 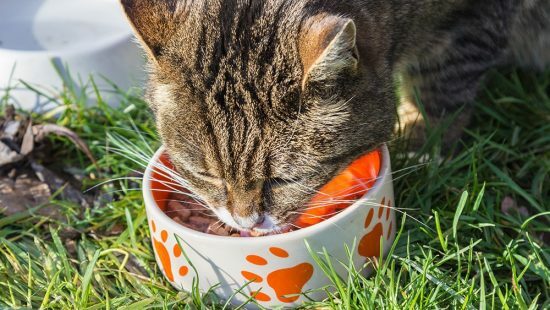 While there can be many reasons why a cat won’t eat, the important takeaway is to pay attention to your cat’s dietary habits. If you notice a cat not eating for longer than a day, consult with your local veterinarian immediately. 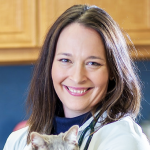 Dr. Sarah Wooten graduated from UC Davis School of Veterinary Medicine in 2002. She is a practicing veterinarian as well as a certified veterinary journalist, author, and speaker. You can find out more about her over at drsarahwooten.com. A vomiting cat is always a big worry for cat owners. We discuss some helpful tips and tricks that can help settle your cat's stomach and stop the throwing up once and for all.